If you giggle, blush, weep or reach for a fan, you may be experiencing menopausal symptoms or you may simply be enjoying her excellent writing. Menopause Ain’t No Joke ain’t no joke! LOL. 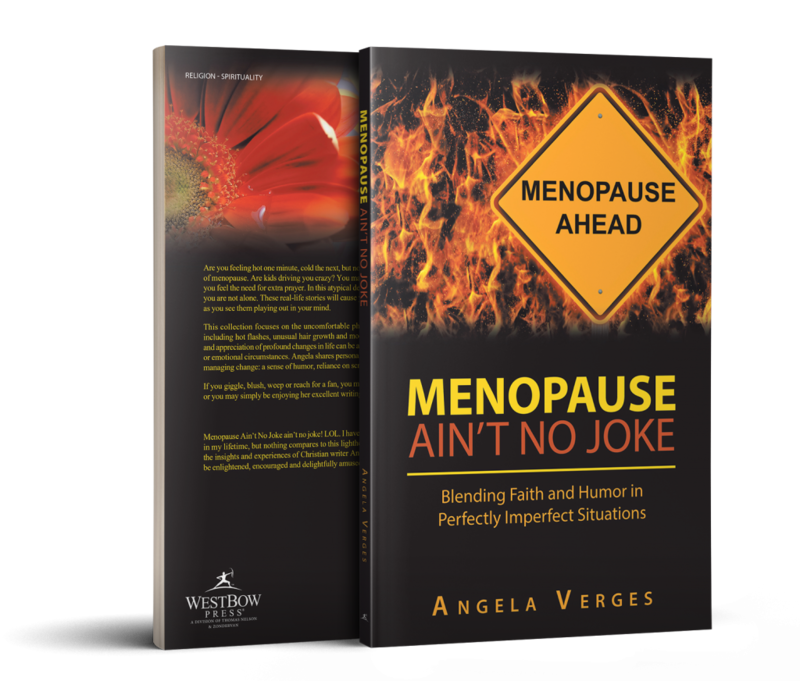 I have read many devotionals and Christian books in my lifetime, but nothing compares to this lighthearted, yet uplifting and humorous take on the insights and experiences of Christian writer Angela Verges. Sit down, relax and expect to be enlightened, encouraged and delightfully amused! Are you feeling hot one minute, cold the next, but no fever? You may be going through a season of menopause. Are kids driving you crazy? You may be parenting while menopausal. Perhaps you feel the need for extra prayer. In this atypical devotional, you will find comfort in knowing you are not alone. These real-life stories will cause you to laugh out loud or snicker to yourself as you see them playing out in your mind. Copyright © 2018. Angela Verges. All rights reserved.